This printer ribbon will yield 4000000 characters. This product comes with a 6 month Warranty against any defects (including free replacement). We stand behind our products 100%, as these are not manufactured by Amano. What is Printer Ribbon? 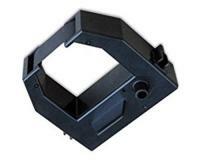 Printer Ribbon is often used in dot-matrix, thermal imaging & impact printers. Fax machines commonly use thermal printers to facilitate rapid printing speeds. The ribbon has a wax-like texture that is melted down and applied to paper to create the printed page.